Construction output registered month-on-month growth of 0.4% in February against the backdrop of trend figures showing a slowdown in activity. The monthly growth was driven by a new work rise of 1.1%, while refurbishment and maintenance slipped back by 1%. Infrastructure and private housing were up strongly compared to a year ago, with the contracting commercial sector dampening overall new work growth. Latest three-month figures, which offer a better insight into output trends, shrank for the third month running, this time by 0.6%. 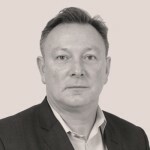 Mark Robinson, Scape Group chief executive, said “The first three months of 2019 have been shrouded in uncertainty and a steady stream of votes in parliament has seen MPs and the country distracted from the business of doing business. “It is no surprise that construction output decreased during this time, with the constant threat of the UK crashing out of the EU with a no-deal, hanging over everyone’s heads. “It is however positive to see infrastructure projects grow by 12.6% compared to February 2018, while new public housing saw annual growth of 14.7%. He said: “In the last 24 hours it is looking likely that EU leaders will offer Theresa May a year-long extension to Brexit, this could do wonders for the construction industry. he also called on the government’s new construction minister, Andrew Stephenson, to compile a comprehensive plan for the industry in post-Brexit Britain.